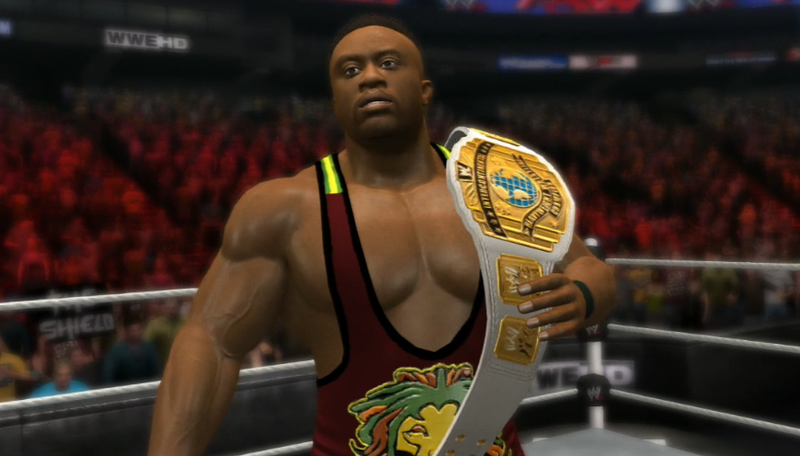 The new Intercontinental champion Big Langston made his debut onto WWE 2K14's roster this week through DLC and boy does does the Tampa Florida heavy pack a punch. The 290-pounder not only brings ruthless aggression but also an arsenal of new moves including his signature hard hitting clothesline and official finisher, The Big Ending. Big E Langston made his WWE debut back in 2009 and since then he's been making a BIG impact. Now in WWE 2K14 you can finally control Langston's destiny and make an even BIGGER impact with The Master of the Five Count himself. Check out Big E Langston's double title defence against Shield member Dean Ambrose, as the two upcoming superstars clash in a grueling match. There is no other juggernaut like big e Langston. Don't step in this guy's way, or he'll run you over. I'm a huge fan of Big E. I hope for and can see big things for this guy. Great look, skilled in the ring, good on the mic and unlike a lot of the bodybuilder types he has personality. I really hope WWE uses him well at his strengths I see him being a WWE champion someday! !